There has never been a better time to make the most of your money and to “clean-up” your credit. Learn the best ways to reduce your debts. Learn how to improve your credit scores. Make good decisions with your money. Learn what they never covered when you were in high school! Genesis Housing Corporation, a 501(c)(3) non-profit community development corporation, is bringing the FREE class series back to Pottstown on Tuesday evenings, July 30th, August 13th and September 17th from 7:00 to 9:00 PM, at the Mosaic Community Land Trusts Offices, 10 South Hanover Street, Pottstown, PA 19464. The classes are offered every month in Norristown. This will be the second time this year to have the classes in Pottstown. Understand Credit — Information on credit scores, improving your scores, re-establishing credit, dealing with debt. Class participants can obtain a free credit report with scores from the three major credit reporting services (Tuesday, July 30, 2013). Money Management – Information on preparing realistic budgets that are more than just monthly bills, prioritizing spending in tough times and understanding how current spending impacts your future financial options (Tuesday, August 13, 2013). Home Buying Basics — Information the home buying process — finding a realtor, home inspections, Agreements of Sale, mortgages and first-time homebuyer grant programs (Tuesday, September 17, 2013). Nikki Holcroft, an award winning and certified housing counselor, will teach the classes. Ms. Holcroft has more than twenty-five years experience working as a housing counselor, mortgage banker and community lender. Ms. Holcroft has worked with Genesis Housing Corporation since 2001 and teaches monthly classes on credit, money management and the home buying process. Ms. Holcroft also provides individual housing counseling sessions to help clients achieve their financial goals. Ms. Holcroft has worked with families to restructure their mortgages, avoid foreclosures and reduce their debts. Reservations are recommended and can be made by calling Genesis Housing Corporation at 610-275-4357 or online at www.genesishousing.org. 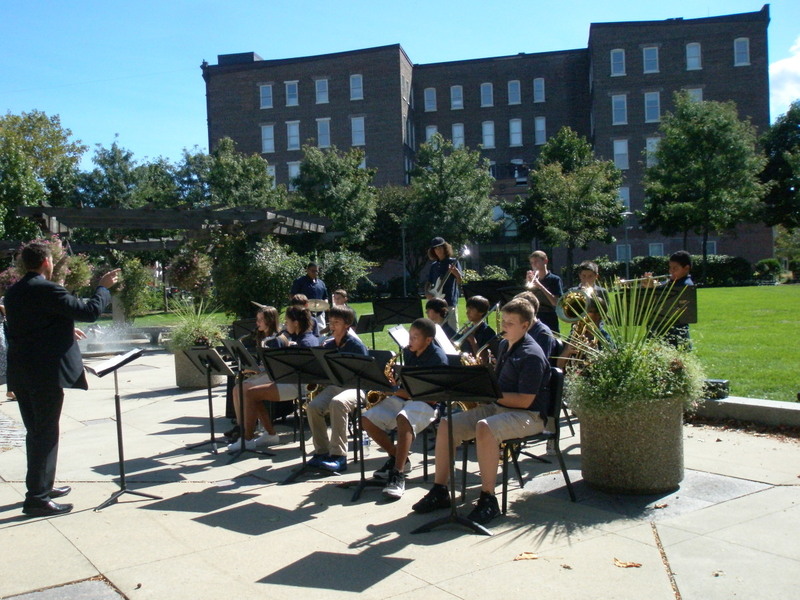 The Pottstown classes are funded, in part, by National Penn Bank. Additional funding was provided by Montgomery County. National Penn Bank is a member FDIC. National Penn Bank and Genesis Housing Corporation are nonaffiliated entities. Genesis Housing Corporation’s housing counseling programs provide free classes and individual counseling helping over 7,000 clients. Monthly classes focus on topics not taught in regular school including understanding credit, credit repair, money management, saving plans, grant programs and understanding the home buying process including selecting a realtor and finding the best mortgage. Since 1994, Genesis Housing Corporation has served Montgomery County as a 501(c)(3) non-profit community development corporation and is dedicated to the development of affordable housing and educating consumers on housing and financial issues. Genesis Housing Corporation has been certified as a FannieMae Counseling Agency and is approved by PA Housing Finance Agency (PHFA) and the U.S. Department of Housing and Urban Development (HUD) for housing counseling. Genesis Housing Corporation is also an approved agency for many programs including the Montgomery County First-time Home Buyers Program and the Norristown First-time Home Buyers Program. In addition, Genesis Housing Corporation has developed affordable housing by rehabilitating vacant homes and by building new homes for income eligible homebuyers. Renovated homes are currently available in Norristown and Pottstown. Genesis Housing Corporation also renovates existing owner-occupied homes for eligible families for the Montgomery County Homeowner Rehab Program and the Pottstown Homeowner Rehab Program. Visit us on Facebook (www.facebook/GenesisHousing). For more information on Genesis Housing Corporation programs, please call 610-275-4357 or visit our web site at www.genesishousing.org. Residents and business owners of the Borough of Pottstown have the opportunity to share suggestions and requests for targeted neighborhood property repairs and general “clean-up” needs during a community conversation to be held at 7 p.m. on Tuesday, June 25 in the Ricketts Center, 640 Beech St., Pottstown. During this gathering, representatives from the Borough, the Pottstown School District, and The Hill School will begin planning a collaborative volunteer project that will involve teams of personnel and students from these three entities on Friday, Oct. 25. The Project is focusing on the core redevelopment area bounded by High Street, north to Beech Street, then from Hanover Street east to Edgewood Street. Dubbed the Pottstown CARES Project — with CARES representing Community, Awareness, Responsibility, Empowerment, and Sustainability — this endeavor will utilize the efforts of The Hill School’s students, faculty, and staff; a dedicated group of Pottstown School District students and teachers; and a crew of Borough maintenance professionals. 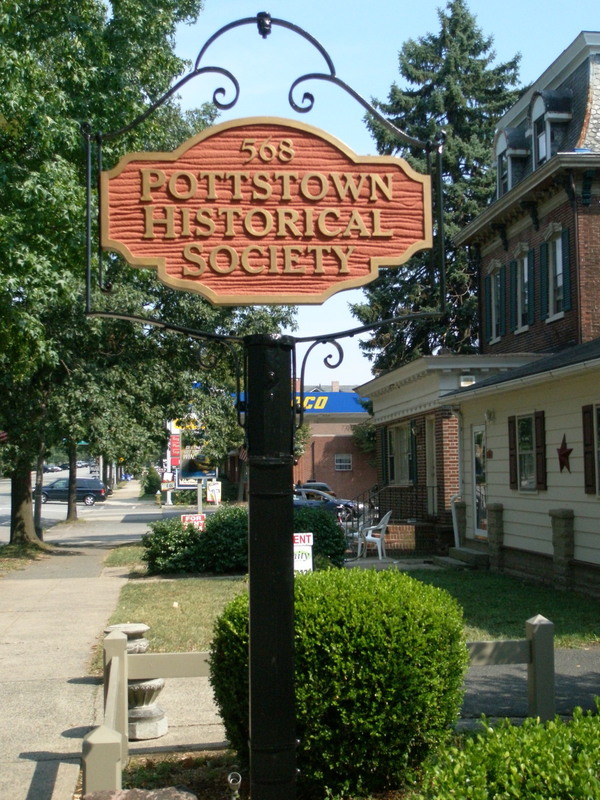 Pottstown residents are encouraged to attend the meeting Tuesday evening to help organizers plan how to make a tangible impact on the borough on Oct. 25, both in terms of improved aesthetics and, ideally, heightened and sustainable Pottstown community spirit and commitment. For additional information, please contact Assistant Borough Manager Erika Weekley at 610-970-6515 or eweekley@pottstown.org. Please check out Evan Brandt’s most excellent article in today’s Mercury on the economic impact analysis that was undertaken by the Pottstown Metropolitan Area Regional Planning Committee over the past year. 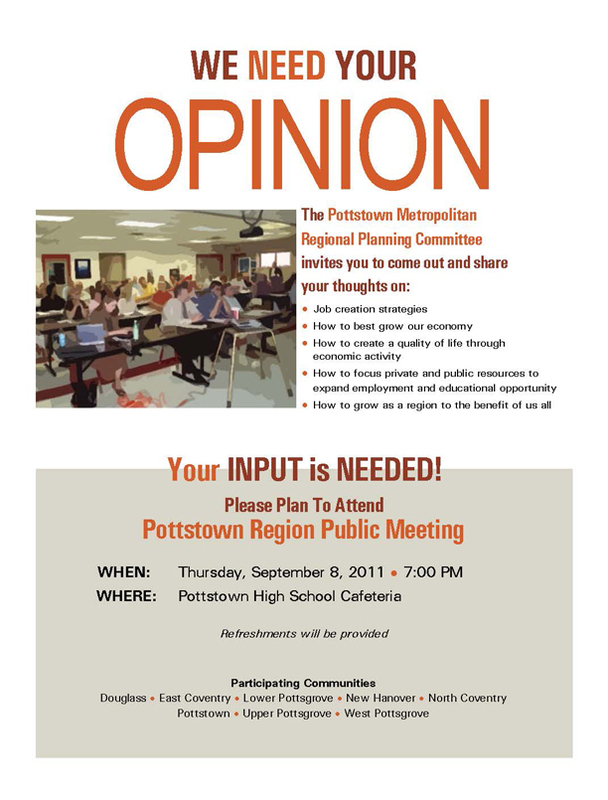 There will be a meeting tonight at 7 pm in the cafeteria of Pottstown High School to discuss the findings. The Pottstown Metropolitan Regional Comprehensive Plan is a multi-jurisdictional plan that includes eight municipalities: Douglass Township, Lower Pottsgrove, New Hanover, Upper Pottsgrove, West Pottsgrove and the Borough of Pottstown in Montgomery County; and East Coventry and North Coventry in Chester County. 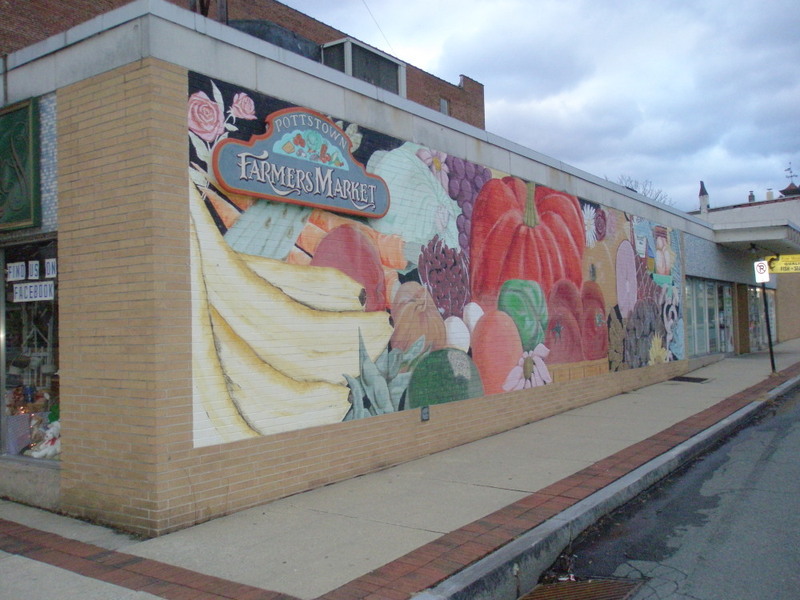 The Montgomery County Planning Commission’s website describes the intent of this plan as an effort “to ensure smarter growth in the region and better management of future development while retaining the unique historical, cultural, and natural amenities of the area. Two consulting firms were hired to survey residents and business owners in these 8 municipalities and look at shopping habits, economic and demographic data; analyze it; and offer several scenarios to help these towns make informed policy and land use decisions about what kinds of business and residential development to encourage or avoid to improve their fiscal outlook. Come out to the meeting tonight to hear what the economic future could be for the region and to understand the issues, options, and decisions facing elected officials and policy makers as they try to keep the Pottstown region economically competitive. Creative MontCo wants your input! Are the arts important in your life and the life of your family? Do you spend time and money to learn how to paint or play an instrument or knit a sweater? Do you enjoy going to galleries, performances, or outdoor festivals? Would you like to see a few cafes with open mics in your downtown? Does the perfect nut roll or shoo-fly pie make you want to write poetry? Does a surprising piece of whimsical art in a public place bring a smile to your face? The beautiful thing about the arts – besides just being, well, beautiful – is that arts and culture can be an economic engine for a local economy. All over the country, there are towns, small cities and even neighborhoods within larger cities, that have discovered their identities as centers of art, culture, and history and they have generated jobs and stabilized their tax base by understanding, expanding, and promoting their assets. The Creative MontCo Steering Committee is being led by Montgomery County Community College president Dr. Karen Stout. The County has hired some really knowledgeable planners – The Cultural Planning Group – who understand how arts and culture can be good for residents and visitors alike and can stimulate economic growth. They have have been surveying and meeting with artists, organizations, and groups ever since to find out what residents like, what they want more of, and what they envision for their towns in the way of arts, and culture, which I take to include historic and heritage resources as well as the natural environment (i.e., parks). To me, the term “culture” gets at the history of a place and how that is reflected today in the people that live there, the work they do, the traditions that live on, and the natural and built environments that are tied to all of that. For me, “the arts” includes any creative endeavor, including, say, beautiful cupcakes or the really old mosaic tiles in many of the entryways of the stores in downtown Pottstown. So… what arts and cultural activities and events are important to you? Please take a few moments NOW to respond to their survey here. And feel free to spend some time at Creative MontCo’s website, reading what others have to say and sharing your vision for the creative future of your county. 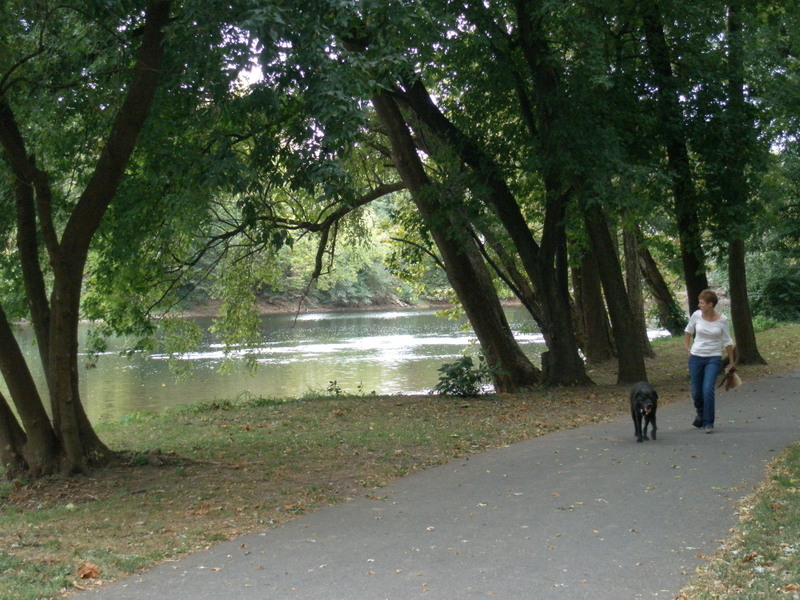 New plan aims to bring Schuylkill Trail users into Pottstown. It was discussed by Council at their work session last week and will be on the agenda for adoption tonight: Thanks, Evan! On Wednesday, August 3rd, Borough Council will be discussing the Draft Heritage Action Plan (HAP) at the Committee of the Whole Meeting at 7 pm at Borough Hall. Tom Carroll and I will give a brief presentation – 10 minutes – about the Draft (HAP). 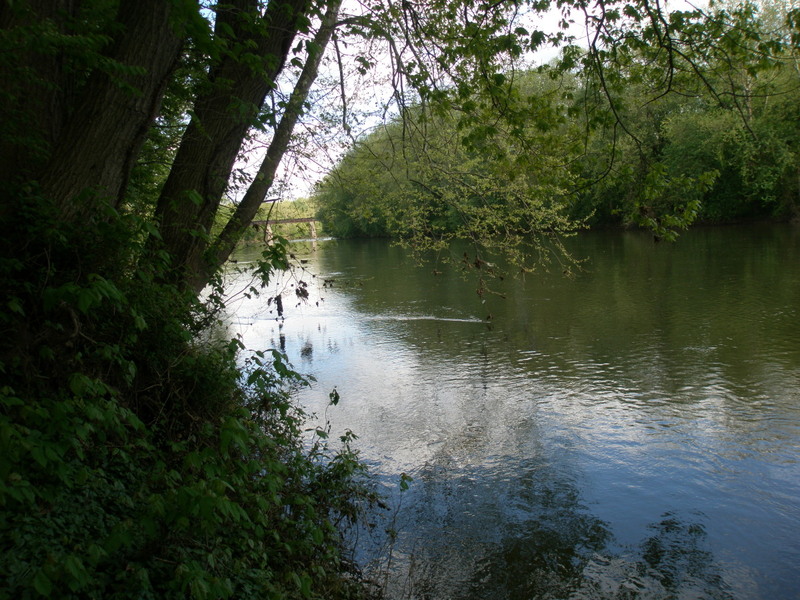 The Borough undertook the creation of a HAP this past spring with a grant from the Schuylkill River Greenway Association & the William Penn Foundation. The process sought input from a wide range of history, arts, culture, business and educational partners and citizens. We also got advice from Peter Johnston & Associates, planning consultants out of Easton, Maryland, who created a Schuylkill River Heritage Towns & Tours Toolkit for grant recipients to use. 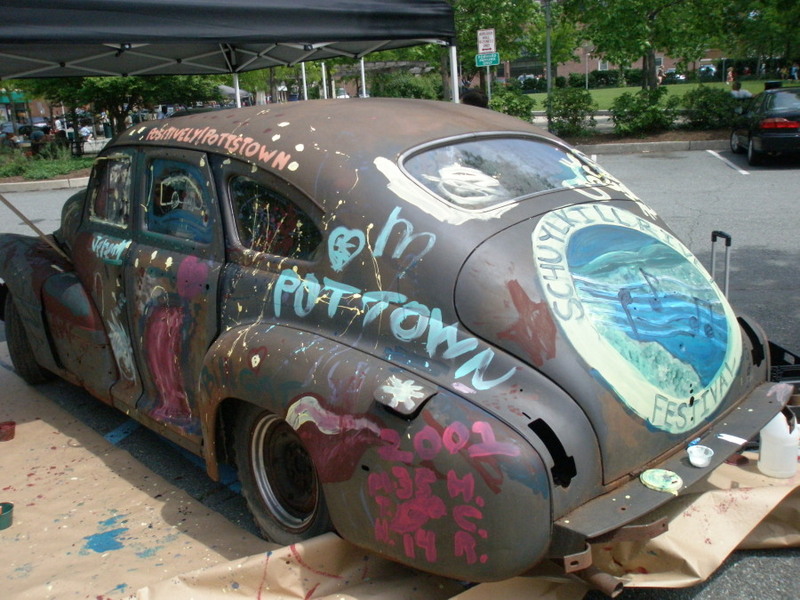 (5) get the Borough, business owners, and arts, historical, recreational, educational and wellness organizations working together around marketing Pottstown as a heritage destination. One of the key words above is “Action.” There’s $25,000 available now from the Greenway/William Penn Foundation to implement some of the prioritized projects in Pottstown’s Draft HAP. Click on COMPONENT RANKING RESULTS to see the complete list of projects. These are some tangible activities that could help get people into town and give the downtown & PDIDA a leg up in marketing Pottstown as a Heritage Town. – and improving or creating on-ground connections between trails and communities. The HAP can be used as a supporting document to go after more grant money to implement other projects listed in the plan. In a time of dwindling resources, there is still money in PA for conservation, trail connections and the like. Residents and downtown business and property owners are encouraged to come out tomorrow night to hear more about the HAP and see what’s proposed for implementation. River View, off Keystone Blvd. The first item under New Business on Borough Council’s agenda tonight is a presentation of some waterfront design ideas generated by an online continuing education class of planning and design professionals. Rutgers University’s Professional Development Institute (PDI) offers a range of courses to urban planners and other land use professionals from all over the United States and the world. This past spring some of them studied Pottstown’s waterfront, led by instructor Matt Wanamaker, a principal of the Philadelphia urban design and place-making firm Brown & Keener. Matt will be doing tonight’s presentation, along with Chris Huff of Pottstown’s Planning Commission. As many of you know, the Urban Land Institute’s 2009 report urged the Borough to create “a place of magic” on the riverfront. The Borough should get a better idea of the constraints and possibilities, thanks to the expertise and innovative thinking that comes from directing fresh eyes and minds to an urban challenge. 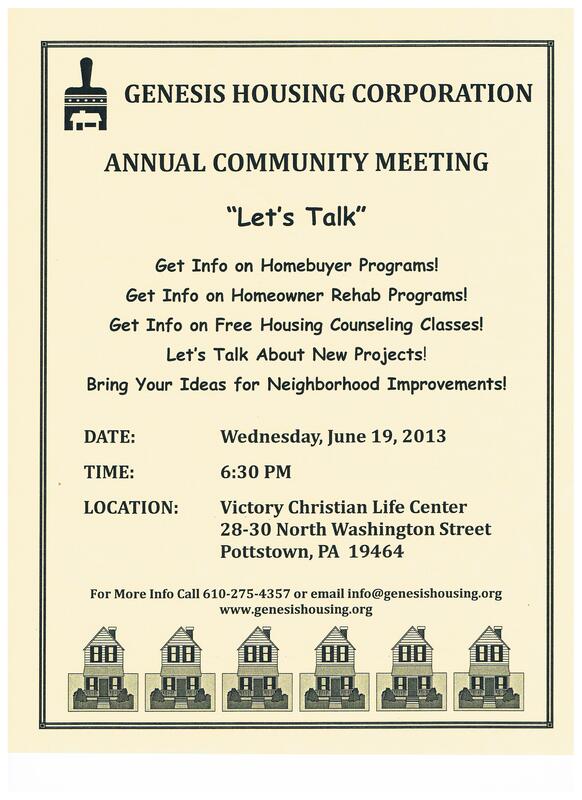 If you’re interested in Pottstown’s revitalization conversation, come on out to tonight’s meeting, listen and join in. The meeting starts at 6:30 pm in the 3rd floor Council Meeting Room. Schuylkill Valley Regional Dance Co.